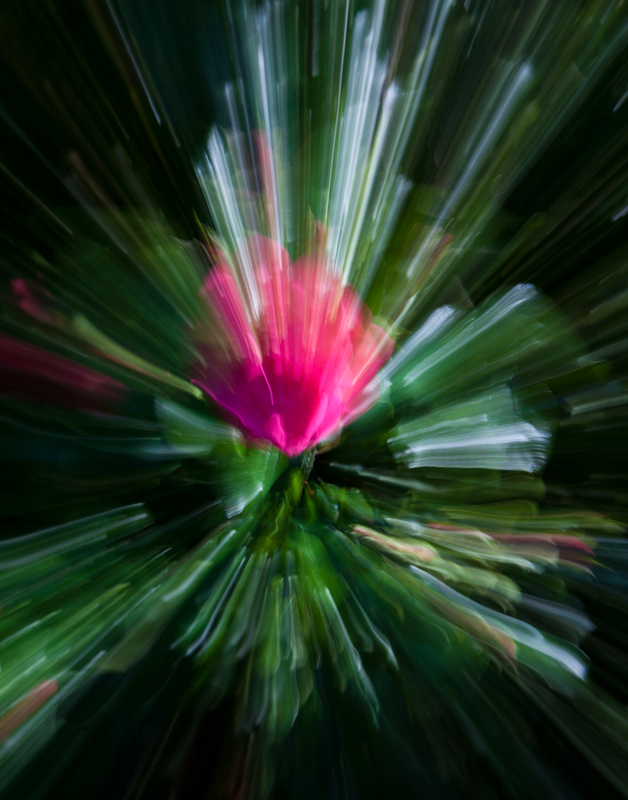 photography – Page 128 – Dutch goes the Photo! Of course! I hadn’t captured my image yet that day!! As we walked out the door at Bocado’s, I noticed that there was a small hole in the wooden fence between the two buildings and took a peek! 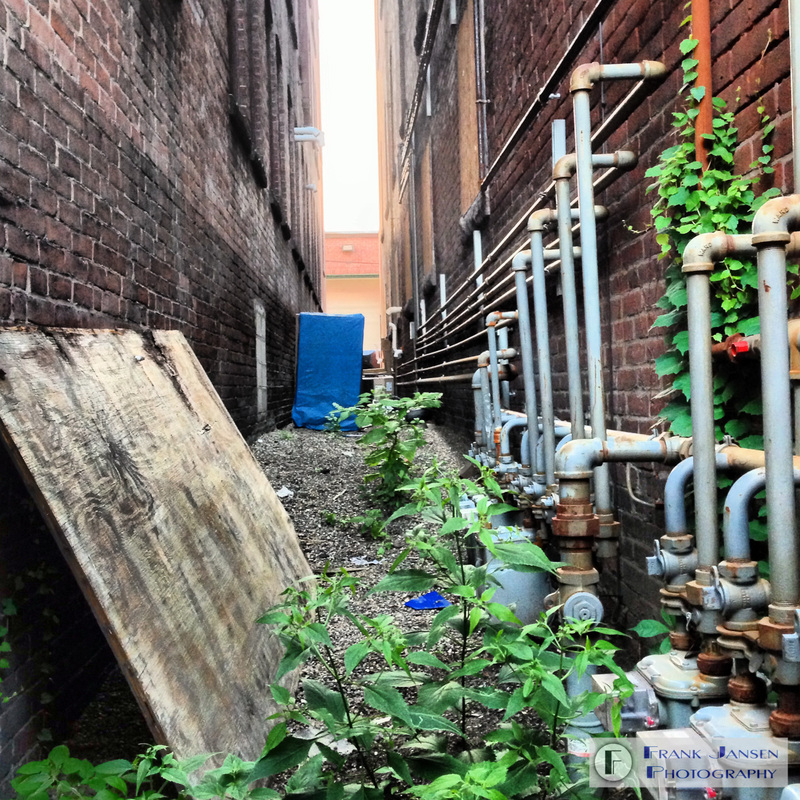 What I saw, intrigued me for the lines that were formed by the various surfaces, pipes, bricks, and the buildings, only to be broken by the pure organic texture of nature coming in to play. Luckily, a small hole is enough for an iPhone’s lens, so we get to see the result here. I hope you enjoyed visiting page 21 and feel free to take a look at the entire book at the following link for the softcover versionInstant Grammar 2013 by Frank Jansen. On page 4, we find ourselves in the cold of Winter with Thoughts of Spring. 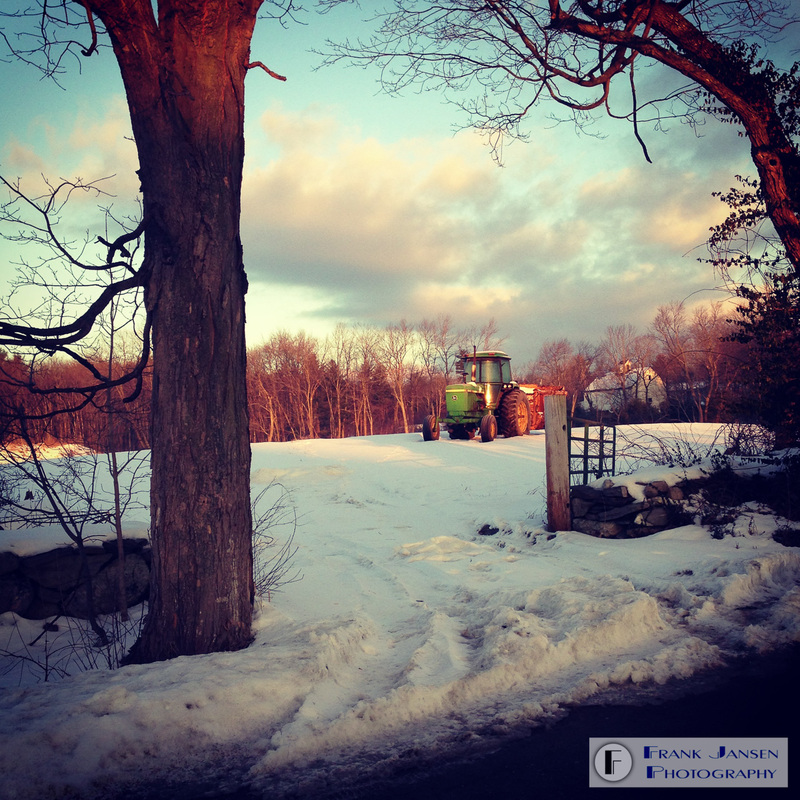 Of course, one may think that those thoughts are a bit premature, given that the image was captured on January 7th and plenty of cold and snow could reasonably be expected… While that is certainly the case, seeing the farm tractor catching glorious sunlight got me thinking of Spring well before its arrival! A little piece of magic for all of us to enjoy! The image on page 6 was shot on September 5, while I was waiting for my car to be serviced. It had just rained and I sauntered over to the Panera close to the dealership to get a bit of breakfast. After a (somewhat) healthy power breakfast with a cup of hot green tea, I was walking back and rather liked the sky that presented itself, so was looking for an opportunity to photograph it in some fashion. As it happened, the dealership had planted a nice row of sunflowers along the edge of their lot to dress things up a bit. 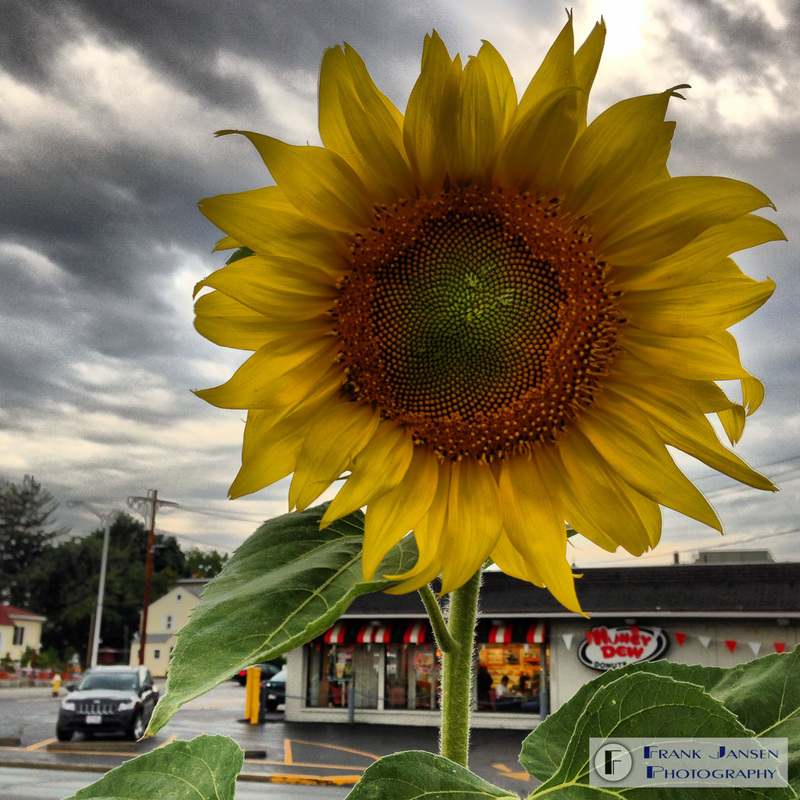 I liked the idea of juxtaposing the sunflower against the doughnut shop and the sky; a bit of a 3-way contrast between sun and rain, as well as healthy sunflower seeds vs killer doughnuts. A bit of finding the position to line up flower, shop and sky, and you see the result here. Page 8 displays an image that was captured on April 7 in East Haddam, Connecticut. 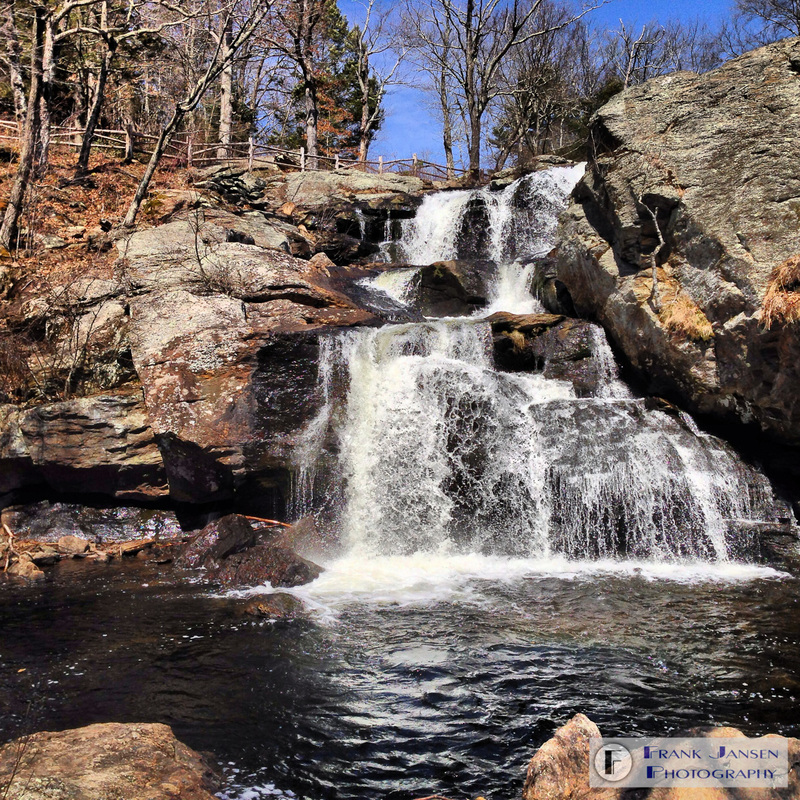 The location is in Devil’s Hopyard State Park, which is a great spot for hiking and interacting with nature; the small cascade is called Chapman Falls. Chapman Falls in Devil’s Hopyard State Park, East Haddam, CT. I was visiting friends in East Haddam for the weekend to explore some photography opportunities, help with a web-site and do some off-roading with my newly acquired FJ Cruiser. On this beautiful Sunday, a bit of exploration along a tricky bit of trails (great boulders and such) led us to the vicinity of Devil’s Hopyard State Park. As we were all ready to stretch our legs a bit and new there would be a bit of scenery, I parked and we started following trails. The trail that took us down to Chapman Falls provided access to a bit of clambering over a couple of rocks to get a seat right across from the falls. The falls feature potholes that have been created by stones that were caught in eddies and spun to wear holes into the rock; as these holes formed, larger stones would get stuck in them and continue the process by carving a deeper hole. The origin of the name ‘Devil’s Hopyard’ is not entirely clear, but there is folklore surrounding it. One of the more believable accounts is that hops were grown in the area by a man named Dibble; maybe not as fun as a supernatural dance location, possibly. This image is a bit unique in the collection resulting from the 365 Day Instagram project: shots of trash are pretty rare among my images, unless I see something unusual about the particular trash item. On July 22nd, something caught my eye about this little tableau, as I was driving along my morning commute. 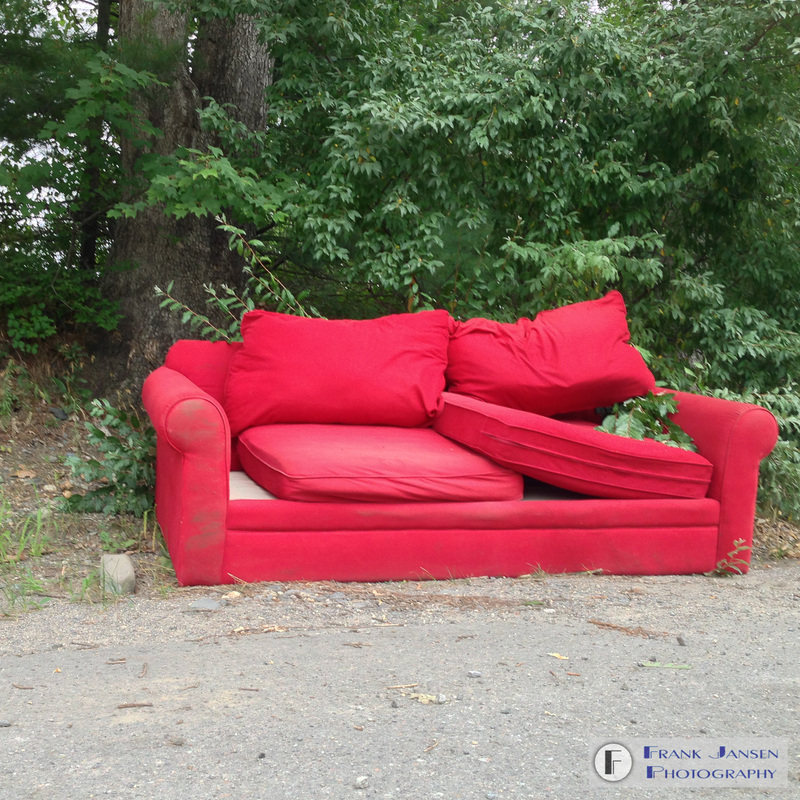 It is not every day, that I see a red couch, albeit dilapidated, framed by a bit of greenery next to the road. The couch looked a bit forlorn and disheveled, as if it was having a rough morning following a long night of rowdy partying at the local fraternity. To add insult to injury, trash was stuffed under the cushions in a futile attempt to make the most of this act of brazen dumping. What adds a little bit of irony to this situation is the fact that just to the left is the entrance to the local town transfer station (aka dump); the couch almost made it, but was left in clear violation of local rules: the transfer station fence bears a sign that expressly forbids dumping!